The Special Assistant to President Muhammadu Buhari on Prosecution at the Ministry of Justice, who also doubles as the Chairman of Special Presidential Investigation Panel For Recovery of Public Property, Chief Okoi Obono-Obla has said the National Assembly launched a smear campaign against him because he "dares to investigate some ranking senators who have illegally acquired assets that are beyond their earnings"
The fierce anti-corruption fighter made the disclosure in a chat with News Proof Publisher. 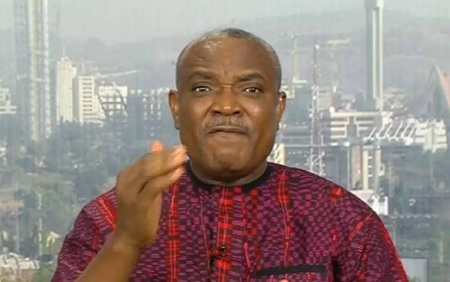 A few months ago, the House of Representatives constituted a Committee to investigate an alleged certificate forgery by Chief Okoi Obono-Obla, an aide to the President. The committee was also mandated to investigate the legality of the Special Presidential Investigation Panel For Recovery of Public Property, an act the President's aide said is an attempt to launch a smear campaign against him. "When I realized that the objective of the so-called Investigation was to smear and ridicule me, I challenged the power of the Committee to investigate my Panel as well investigate my educational qualifications. The case is in the Federal High Court." "The House of Representatives has no power to investigate my educational qualifications." "Forgery is a criminal offense that Police has the statutory power to investigate. The House of Representatives has no power to investigate crime or forgery. This is a hatchet job masterminded by some members of the national assembly"
The lawyer turned politician also accused the House committee members of being lackeys of Senator Ike Ekweremadu and the leadership of the National Assembly. He said the National Assembly leadership were after him because his committee has dared to investigate some ranking senators who have illegally acquired assets that are beyond their earnings. "All the members of the House committee were lackeys of Senator Ekweremadu and the leadership of the national assembly. They were determined to intimidate and rubbish me because I dare to investigate some ranking senators who have illegally acquired assets that are beyond their earnings." "So the recommendation of the Committee is unconstitutional and of no effect. The House cannot constitute itself into a Court of Law. The House cannot be the accuser, prosecutor and Judge all rolled into one. It is a classic case of witch hunting ever seen in the annals of the legislative history of Nigeria. The Chairman of the Committee and indeed all the members were RAPC and PDP and they have now defected to PDP"